Get All The Kickass Laptop Bags Review To Your Inbox! Subscribe to our newsletter and get all the kickass Laptop Bags Review directly to your email inbox. We will also provide very informative guide regarding protection to your valuable Laptop and how to effectively pack your backpack. * By clicking submit below, you consent laptopbagsforyou.com to store your submitted information. We Hate Spam, Just Like You Do! Your Email is Safe With Us! 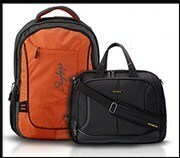 Laptopbagsforyou.com is a participant in the Amazon Services LLC Associates Program, an affiliate advertising program designed to provide a means for sites to earn advertising fees by advertising and linking to Amazon.com. Amazon, the Amazon logo, Amazon Supply, and the Amazon Supply logo are trademarks of Amazon.com, Inc. or its affiliates. The purpose and intention of this site is to give consumers well researched resources and information so as to help them make informed buying decisions. We will also like to bring to your attention that this site generates commissions from third party retailers after the sale of a product or a service. The Amazon links and suggested product that you see on our website, we are using as the affiliate marketer. We earn a small commission when you purchase something following our links (we really appreciate if you do so). With this small commission we keep this website live. And products that you see on our website are the best product so you don’t have to worry about the quality. If you have any queries please use our contact form or connect with us on social media, we will get back to you as soon as possible.